Thousands of Afghan citizens countrywide successfully market Nawruz—the first day of new solar year, however, facing security threat in some areas. Hundreds of security forces have taken security of the grand ever event, with high-ranking government authorities accompanying the president to attend the great festivity. However, in one of the capital Kabul vicinity, the enemies of peace shelled mortars leaving a number of innocent dead or wounded. 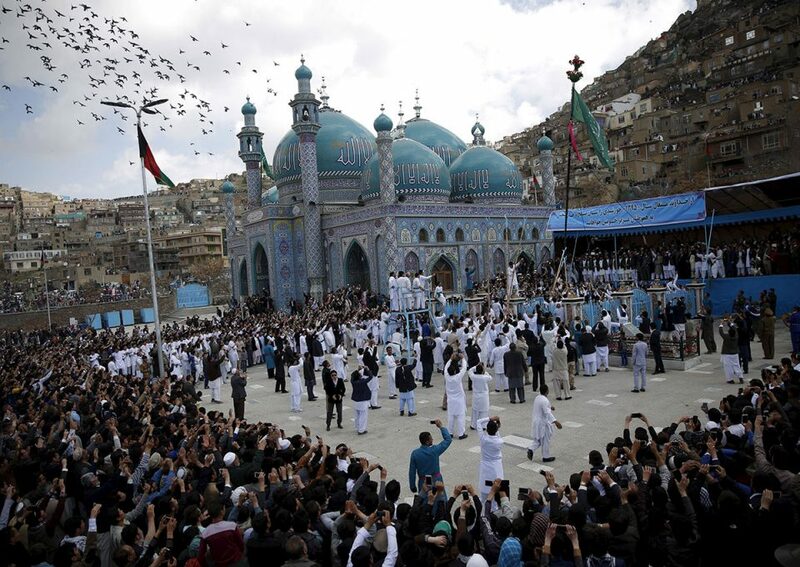 President of the Islamic Republic of Afghanistan, Mohammad Ashraf Ghani attended the great ceremony of Nawruz festival in the country’s northern Mazar-e-Sharif, the provincial capital Balkh, where he addressed a big crowd, hoping 1398 to be the year of lasting peace, development and well-being for the whole people of Afghanistan. He said the country was going forward to becoming a trade-crossroad of the region and he congratulated the event to the entire Afghan neighboring countries, particularly, Turkmen, Uzbek and Tajik leaders as the Afghan business partners. Touching on the ongoing peace process, the president said peace should be long-term not the one leading to another bloodshed. Indeed, if it is not an intra-Afghan process, it will never achieve any success and it will never be a lasting peace, as most possible negative aftermath will not be negated, if it was held out of a full Afghan-to-Afghan negotiation. At the Thursday’s ceremony, the president said that Afghanistan was the heart of Asia and that a stable Afghanistan was in favor of all regional countries. Wishing the nation, a happy Nawruz and hoping the people to witness peace this year, he said this was the year that the Afghans will celebrate 100 years of Afghanistan’s Independence and that they should support their unity. Election was also one of the key issues, the country’s president discussed at the ceremony, saying the process would be held timely, as he assured that no delay would be acceptable. This year’s Nawruz ceremony was different to those held in the province, as thousands of people, including women and girls from all 36 provinces of the country have participated in festival to listen to the speech of the country’s president. In other parts of the country, like western Herat province, people marked the day peacefully and cheerfully with the hope of a lasting peace restoration in the country. Afghans want all regional and international countries stakeholder in Afghanistan issue to help the war-affected nation reach peace, unless meddling in the internal affairs of the country, as no peace would reach success, if it was not within an intra-Afghan dialogue.